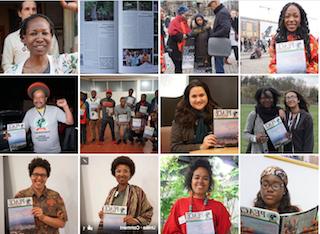 Home / Articles / Campaign / image / info / News / web / Call for Interns: Internship at the PEACE International in Germany. 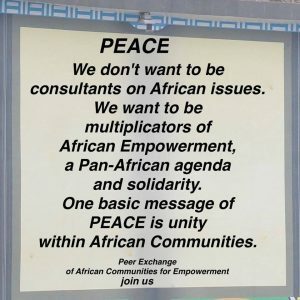 The Berlin-office of PEACE (Peer Exchange of African Communities for Empowerment) International network is looking for interns. Within this framework, we are currently looking for Individuals or group volunteers of African Descent within Germany or in the Diaspora. You are welcome to help us achieve our visions while learning to achieve yours. Starting April 2018, we offer you the opportunity to take part in the activities of PEACE Int. and completing an internship at our Berlin office. P.E.A.C.E Int. is a network and platform for peer exchange of scientific, academic and societal issues concerning Africans aimed at empowering the African communities. 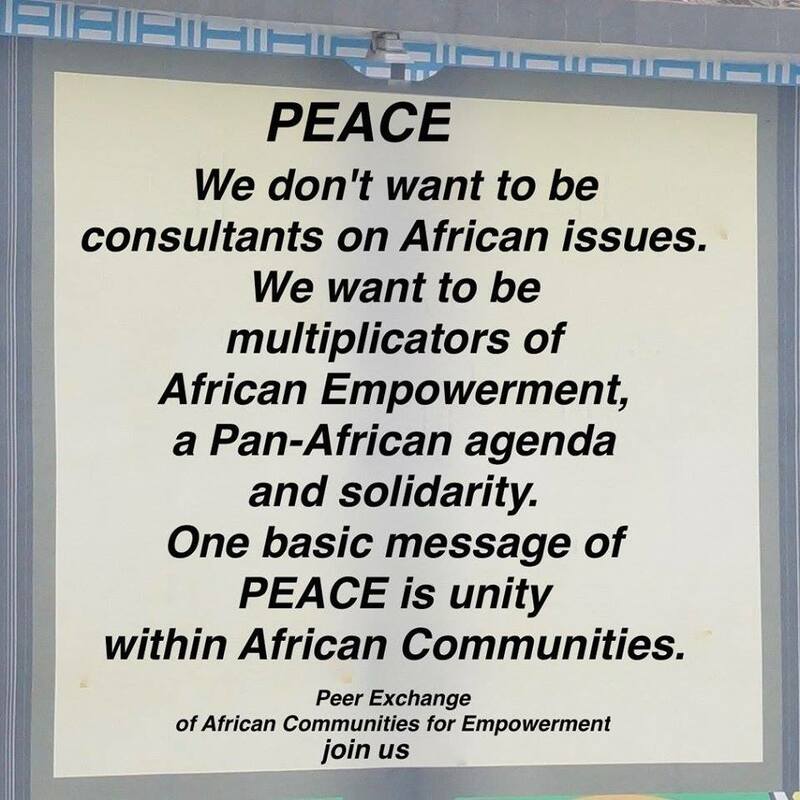 While focusing on issues concerning the African continent, the main objectives of PEACE are to dissect, analyse and find solutions to problems concerning Africa. It deals with research, empirical data collection, publications and dissemination of information through different media outlets and other channels. We offer you insight into the different areas of our work. You will be actively helping to shape offers and our program for the next year and receive continuous, professional guidance. The internship will not be paid but prospects of employment are there and depend heavily on performance. Short-term internship is a minimum of 3 months and we welcome a mid (6 months) to long-term (1 year with prospects of employment/lifelong connection with our Networks) internships. There is no deadline for applications. Place and times of work are flexible with our main offices in Neukölln and Wedding, Berlin. Observation of project presentations, event management etc. Preparation and follow-up of the different events of PEACE Int. You will need to be available for monthly African/Black Community meetings (usually held at our Community hotspots in Berlin). You must also be available to carry out the responsibilities of an Organizer. If you are interested in joining us as an intern, please contact us for further information. Our Team would be happy to have an informal talk with you about the internship/placement, prior to receiving your application. Please send applications to: info(at)peace-int.org. You can also use this online form to contact us. An online form will be sent to applicant(s) after their expression of interest by email.